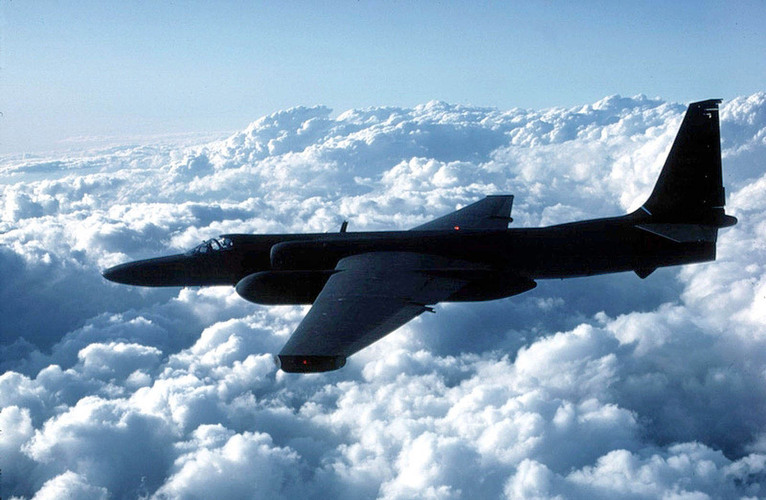 The U-2 in flight, where it prefers to be (Credits: USAF/Getty Images). The enigmatic US Air Force space plane X-37B, widely considered to be a surveillance vessel, is making news once again with the announcement of its landing, now scheduled for July 2012, 17 months after its launch. But while technologies in surveillance are continuing to develop, a quiet movement is building in the US to turn back to the tried and true: the original U-2 spy plane which has been in continuous use ever since it first launched in 1955. The U-2 was a product of the cold war, developed by the United States to gather intelligence on the Soviet Union. It was designed to fly at an altitude of 23 km, taking off with a jet engine before gliding through the thin atmosphere of higher altitudes. “Really what it amounts to is a sailplane with a jet engine in it,” says Air Force historian Doug Lantry. A suited U-2 pilot preparing for flight (Credits: Larry Abramson/NPR). 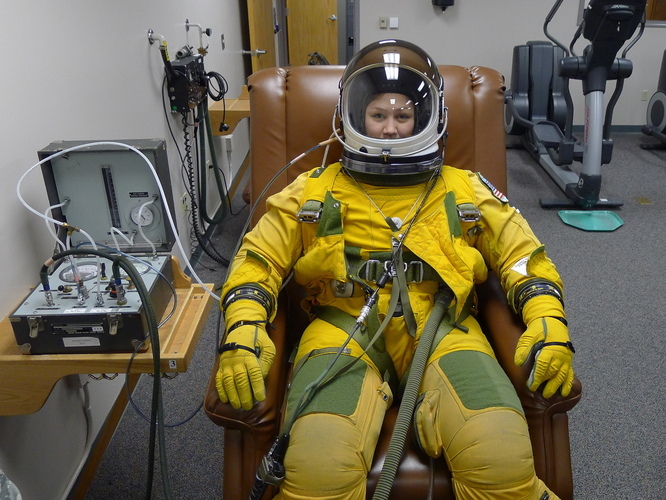 Pilots of the U-2 must take many of the precautions usually expected from astronauts on an EVA. Pilots must fly in full spacesuits in case a leak in the pressurized cockpit should expose them to atmospheric pressures low enough to boil their blood. The U-2 pilots also breathe pure oxygen for one hour before flight to prevent decompression sickness. The suited pilots have just enough mobility to fly the plane. The U-2 has seen some upgrades over the years to its sensor systems, its wings which were lengthened, and its engine which was converted to a more reliable and powerful version. But the plane maintains its eccentricities, such as an aerodynamic profile that makes it exceedingly difficult to land. “This thing loves to fly,” says Col. Steve Rodriguez of the US Air Force. A landing U-2 will frequently been seen jumping back off the runway after what looks like a successful landing. Pilots essentially have to force the plane out of the air. Once it does land, its floppy wings have to be propped up so they don’t damage themselves dragging on the ground. The cutting edge Global Hawk costs $35 million per unit, not including development costs (Credits: Bobbi Zapka/AP). The U-2 is in the news now because of its rival technology: the new Global Hawk remotely operated spy plane. 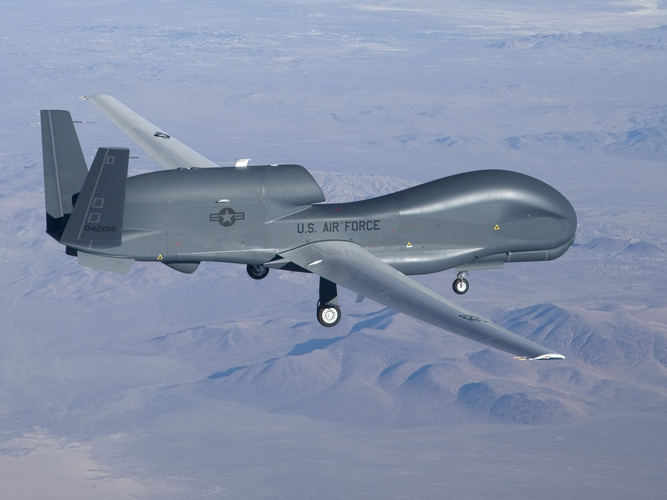 Although the height of technological sophistication, the Air Force requested a reduction in its spending on the Global Hawk, a Northrop Grumman product, in January. It turns out that the U-2 can do the same job for much less money than the $35 million drone – although the opposite had been anticipated. However, several foreign countries have ordered Global Hawks of their own and NASA uses a couple of the unmanned aerial vehicles to conduct Earth observation, so it looks like the Global Hawk will not disappear altogether. Still, the unpopular drone could learn a thing or two from its predecessor – 57 years old and still flying.